Charles Hardy was born c. 1714 in Portsmouth, England. 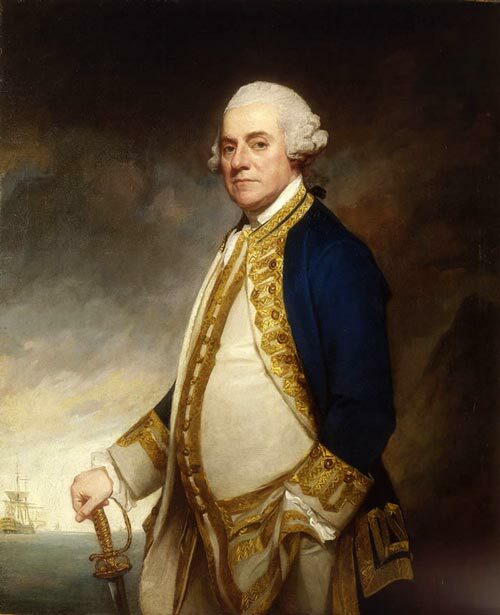 Supported by his father, Vice-Admiral Sir Charles Hardy, he entered the Royal Navy in 1731. In 1737 he was promoted to the rank of lieutenant and in 1741 to captain. He spent the next three years on the eastern American coast. In 1744, Hardy was appointed governor of Newfoundland. After battling heavy winds at sea for 63 days, he was forced to return to England. He was court-martialed for neglect of duty but acquitted. In 1745, Hardy brought reinforcements from Gibraltar to Louisbourg on Cape Breton Island. He later served off the coasts of Spain and Portugal, and in 1755 was knighted and appointed governor of New York. In 1762 he was promoted Vice-Admiral, and was MP for of Rochester from 1764 to 1768. His career continued with his promotion to Admiral of the Blue in 1770, and Governor of Greenwich Hospital in Plymouth in 1771. In 1778 he became Admiral of the Fleet. He died at Portsmouth, England on May 18, 1780.